You are at:Home»Posts Tagged "Pediatrics"
An interdisciplinary Northwestern University team has developed a pair of soft, flexible wireless sensors that replace the tangle of wire-based sensors that currently monitor babies in hospitals’ neonatal intensive care units and pose a barrier to parent-baby cuddling and physical bonding. Zaira Gasanova, a second-year medical student, investigated the effectiveness of interventions that improved neonatal mortality in Senegal. Gemma Carvill, PhD, assistant professor of Neurology, has been named a recipient of the NIH Director’s New Innovator Award, which funds highly innovative research proposals with the potential to transform their field. 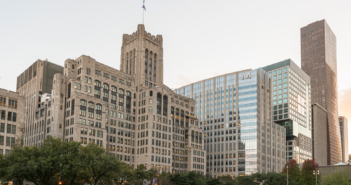 Northwestern has been awarded a $12 million, five-year grant from the NIH for a research center dedicated to advancing the genetic understanding of epilepsy. A behavioral program significantly reduced the sexual risk for HIV infection among young transgender women, according to a Northwestern Medicine clinical trial. Pediatric patients with sepsis who completed a series of treatments within one hour of sepsis recognition had better outcomes, according to a new multi-center study. Children with a rare complication of diabetes may not need fluid administered slowly, in contrast to current treatment guidelines, according to a study published in the New England Journal of Medicine. Ali Shilatifard, PhD, has been appointed editor of Science Advances, an open-access journal published by the American Association for the Advancement of Science, which also publishes the journal Science. Novel research is changing the way we approach healthcare for mothers and their babies. 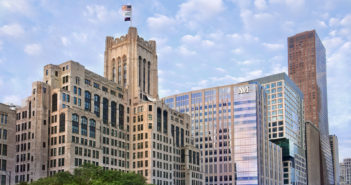 Read the feature in Northwestern Medicine magazine.